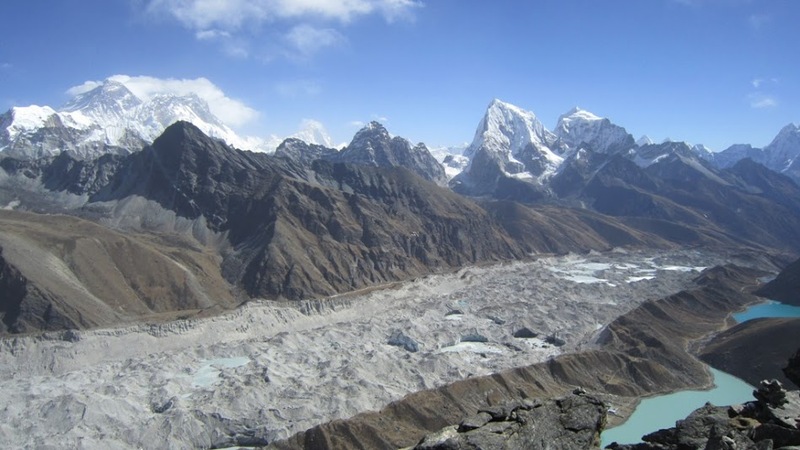 Cho La Pass Everest Base Camp Trek follows next to the Mt Everest trail of Gokyo Lake Valley then other rest of hiking journey includes regular base camp way. The entire trek leads through the heartland of the Sherpa people who are the original inhalant of the highland. Cho La Pass Everest Base Camp Trek passes numerous picturesque typical Sherpa villages and many colorful gompas. 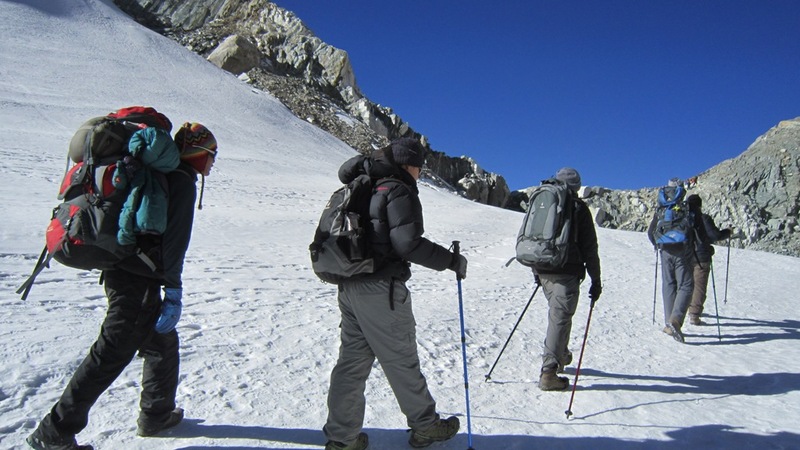 Gokyo Cho La Pass Everest Base camp trekking is also known as Everest Circuit trek, thus it is one of the most famous and adventurous treks in the Everest region. 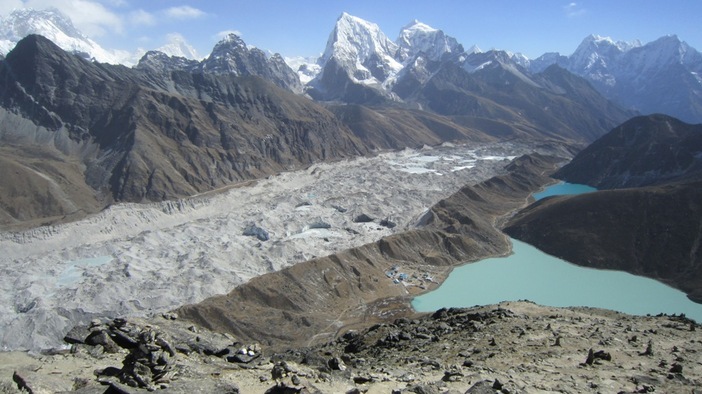 Cho La Pass Everest Base Camp Trek will take you to climb up one of the best panoramic view point Gokyo Ri atop (5350m). The first day of the Cho La Pass Everest Base Camp trek starts 35 minute a short mountain flight to Lukla then follows to Namche Bazzar through by crossing Dudhkoshi (milky) River valley. 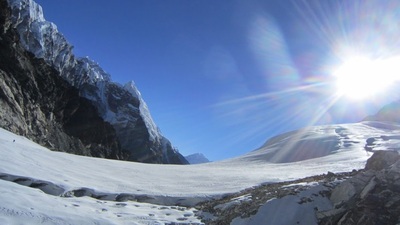 It follows the route via high pass of Cho La Pass at 5330meters into the Base Camp of Mount Everest. 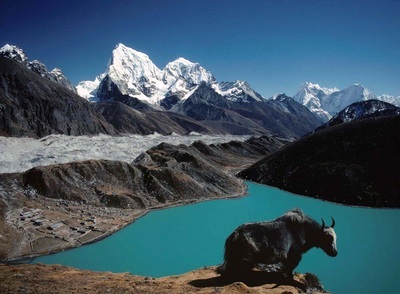 Along the way of Cho La Pass Everest Base Camp trek you will be passing grazing settlement of Yak to reach the Gokyo lakes and we climb the Gokyo Ri peak for the Panoramic views. You will get an opportunity observe the stunning scenery of Mt. 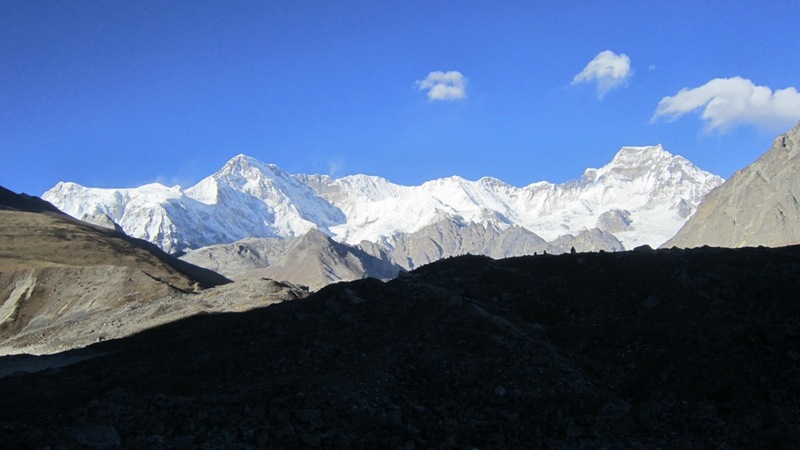 Everest, Makalu and Cho Oyo (8021m) Mt Everest 8848 m and many more other surrounding peaks. 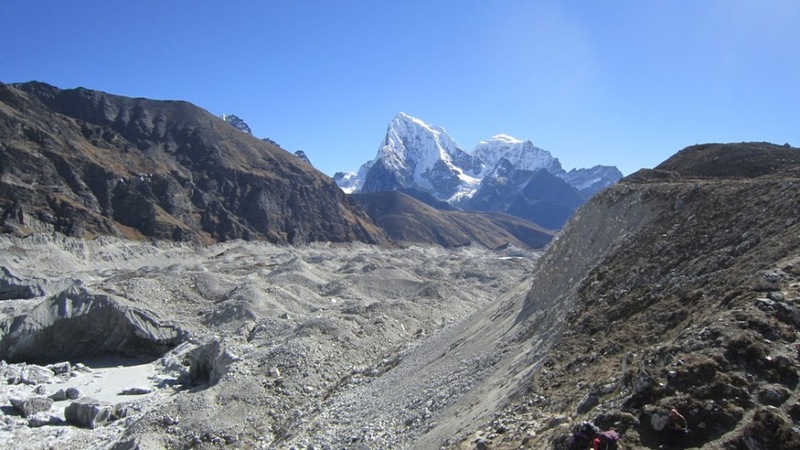 After the pass you will drop to the other side of Khumbu valley which take you to explore from Kalapatthar (5545m) ascent and probably the best views of Mt Everest. Day 3: Fly to Lukla Trek to Phakding (2640m). Day 4: Trek to Namche Bazaar (3440m). Day 6 :Trek to Tengboche (3867m). Day 8: Rest at Dingboche for acclimatization. On this day it is possible to make side trip towards Chhukung (4730m). Day 9: Trek to Lobuche Village(4840m). Day 10: Trek to Gorakshep (5321m.) 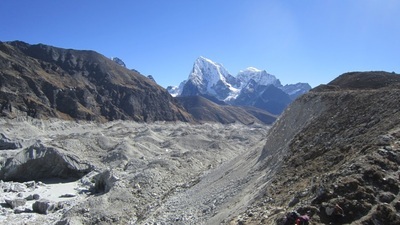 to Everest Base Camp (5486m.) to Gorakshep. 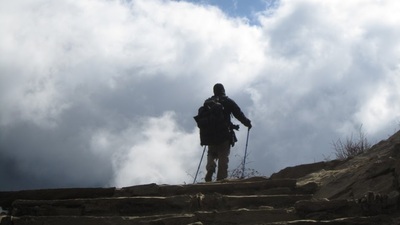 Day 16: Trek to Namche Bazaar (3440m). Day 5: Acclimatization day in Namche Bazaar Today is the schedule for acclimatization. However, we do not spend worth less at the lodge. 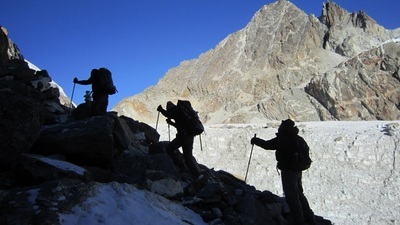 It is highly suggested to climb up and stay overnight at low altitude so our body can adjust the high altitude climate. 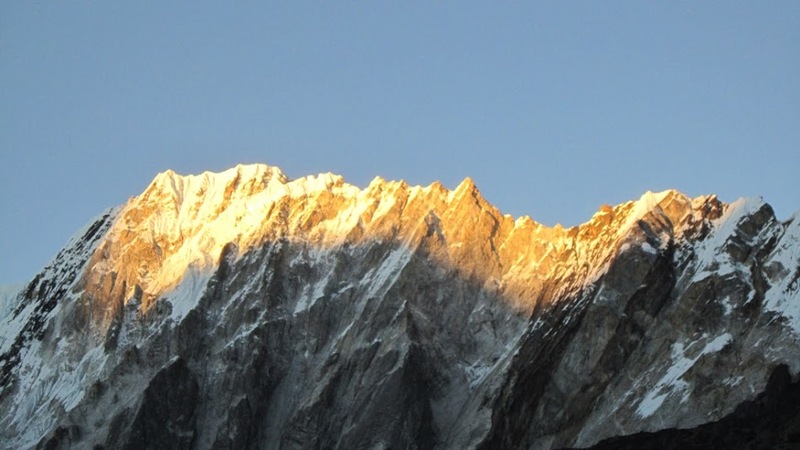 In the morning visit near by attraction; Sherpa Culture Museum and Everest photo Gallery, which is just 15-minute walking distance from Namche Bazar. From the museum you can have the spectacular picturesque Mountain View and take some photographs. Then start trekking to Everest view hotel passing through Syangboche Airport (3700m), which is situated at the highest altitude, takes about 2 hours. We climb further to reach Mt. Everest View Hotel for great panoramic views of Mt. 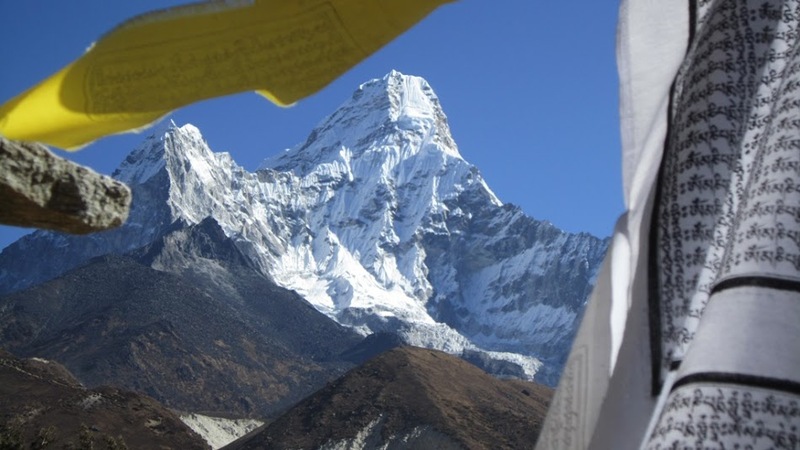 Everest, Lhotse, Ama Dablam, Tawache, Kusum Kangkaru, Thamserku, Kongde and many more. Enjoy the spectacular view of mountains including Mt. Everest from the nearest destination then trek back to Namche Bazar. Early in the morning if you are interested visit the Tengboche monastery for pray, ceremony in the principle and popularity of Monastery in Everest region. Try to be there before 7:30am, observe the monks praying and you can also involve therefore pray. After breakfast trek from Tengboche to Dingboche, also known as Summer Valley, which will take approximately 6 hours. 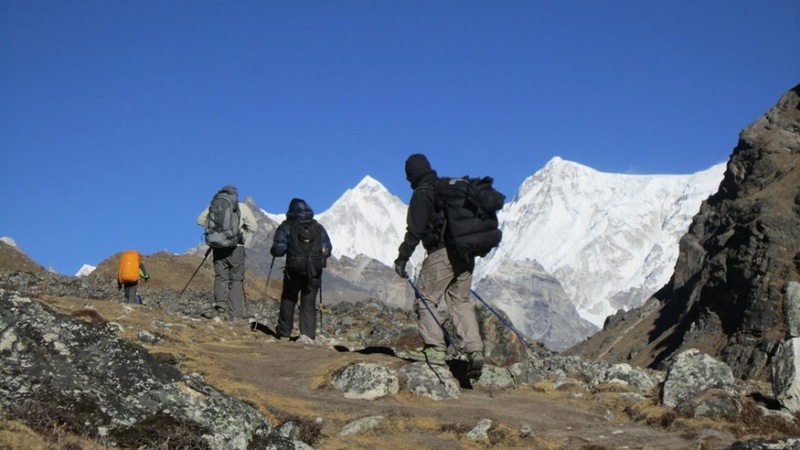 At first we trek via Debuche, cross bridge over Imja Khola and trek along the beautiful green fields, protected lands & the village of Pangboche (3900m). 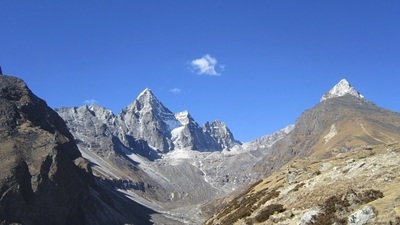 The trail is step up for entire day to reach to Dingboche. The village of Somare (4010m) and Orsho are on the way and offer the excellent view of Mt. Ama Dablam along the trail. We descend to the river and follow the steep up trail to reach the Dingboche via north face of the Pheriche village. Trekking about 3 hours from Pangboche we reach to the Dingboche village. Today is the toughest day for us of entire trekking. We wake up at 4am in the morning and start hike to Kalapathar for spectacular sunrise view and massif of mountains. It will take 2-3 hours to reach to Kala Patthar from Gorakshep. A long but truly an exciting and adventurous hiking will finally land us in Kala Patthar & explore majestic views of mountains such as Mt. Everest (8848m), Mt. 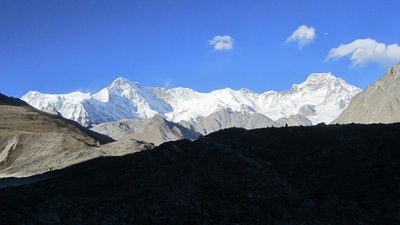 Pumori (7161m), Lola peak, Khumbutse peak (6640m), Baruche (7129m), Nuptse (7861m), Ama Dablam (6856m), Kangtega (6685m), Thamserku (6608m), Lotse (8516) and it’s range, and last one on the far right hand corner is the Tibetan ranges. 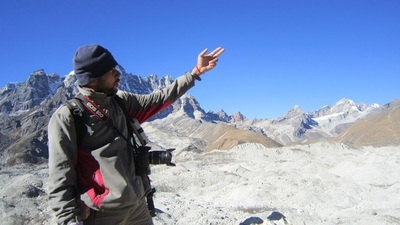 We will enjoy the panoramic views of Himalayas and capture the moments in our cameras. This moment is one of the unforgettable alive memories for the rest of our lifetime. Remember you might feel very cold and lack of oxygen, water bottle might get frozen, mobile and camera might not work. Do not forget to get thick warm clothes and protective equipment such warm cap and gloves. 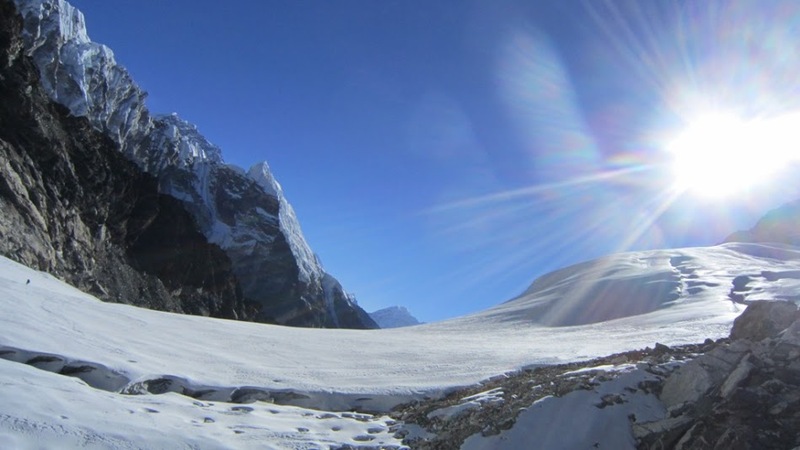 We don't stay at Kala Patthar for long as it is freezing weather. 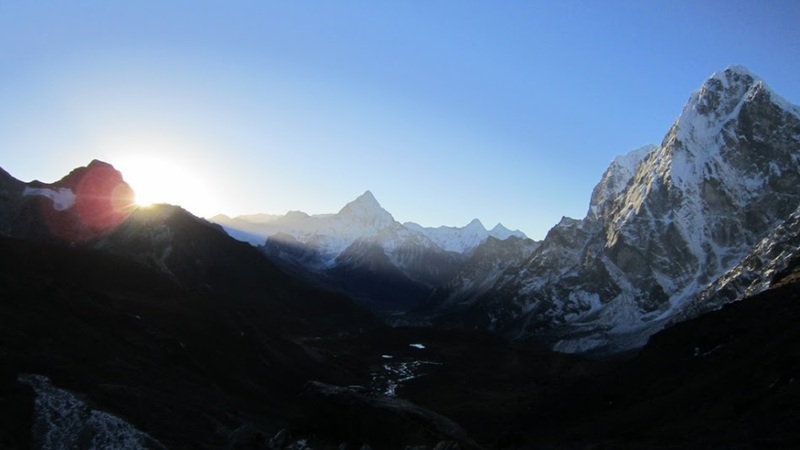 We spend about half an hour and capture all the memories in our camera as photo and video then descend back to Gorek Shep, breakfast and then trek to Dzongla via Lobuche We can enjoy the magnificent views of Thamserku, Ama Dablam and Kangtega on the way ahead. Day 15: Trek to Namche Bazaar (3440m).